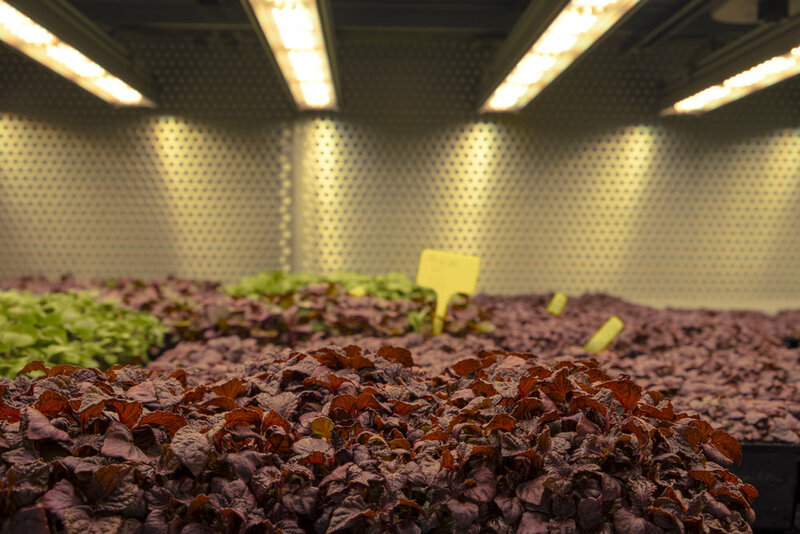 SALADS, AROMATIC HERBS AND MICROGREENS 100% ALIVE AND FARMED INSIDE A STORE, FOR THE FIRST TIME IN PORTUGAL. 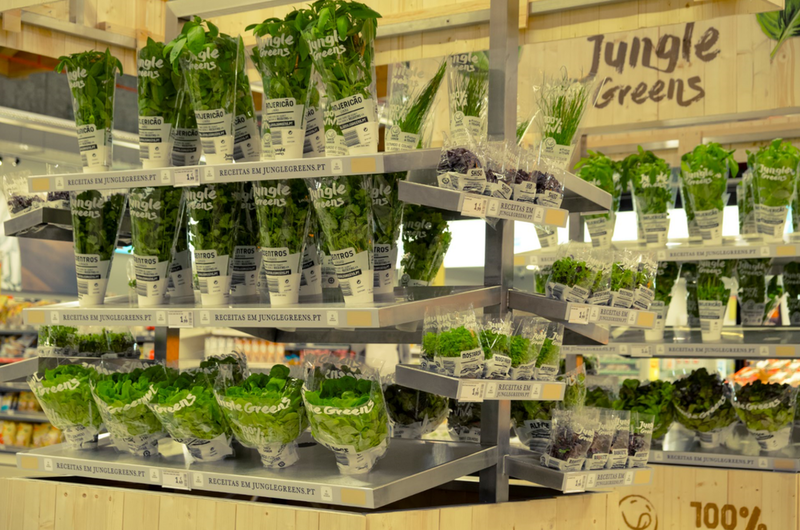 JUNGLE GREENS is the freshest news in the market: an innovative concept pioneered in Portugal that through indoor controlled environment agriculture (CEA) technology produces living salads, herbs and microgreens, all of which are grown, harvested and sold directly in the Auchan Retail Group store of Jumbo Sintra. What if the salads, herbs, and microgreens that you buy were grown from seed to maturity directly next to you in your local store? 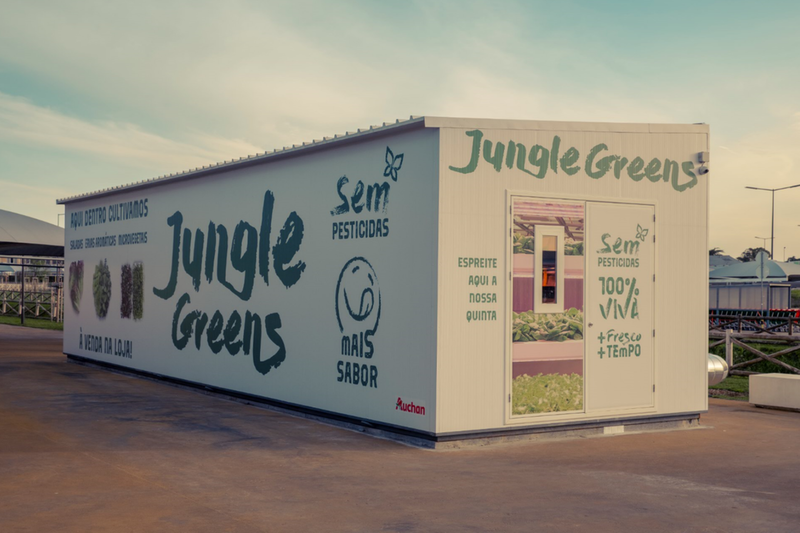 This is JUNGLE GREENS’ proposal that installed its first JUNGLE BOX outside the Sintra store of the Auchan Retail Portugal group: a "farm" with a controlled environment that “feeds” the fresh produce corridor with 100% alive products, with no GMO's, free from pesticides and full of flavour. “We created Jungle as an answer to some of the problems that have been identified in the current fresh food supply chain. 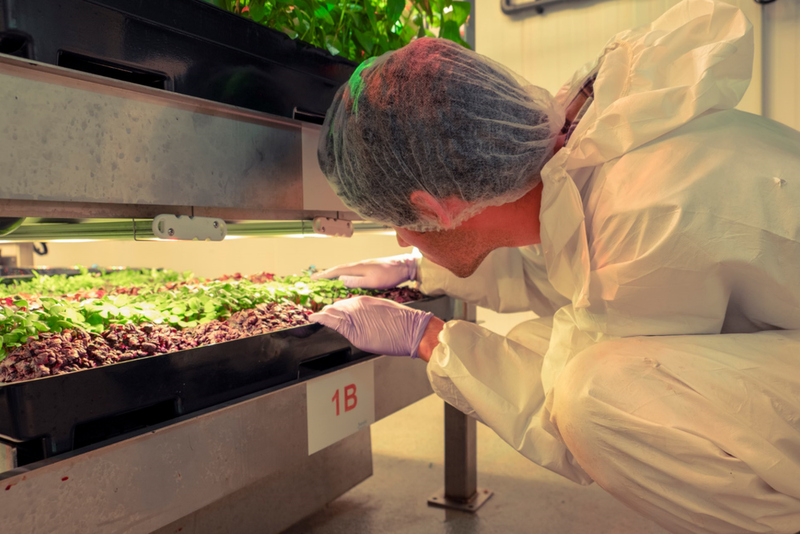 We believe in a transparent agricultural solution as a quality alternative that connects people with the food they put on their plate,” explains Gilles Dreyfus, from the start up Jungle Concept that specializes in precision indoor farming solutions in chemical free environments. 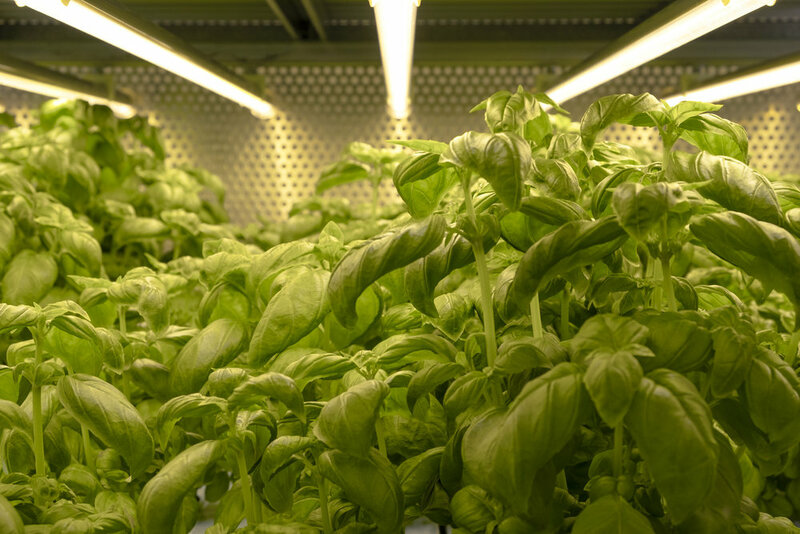 JUNGLE GREENS’ products are grown in a vertical agriculture context within the indoor environment of the JUNGLE BOX. There, the ideal natural conditions (such as lighting, humidity, wind and water) are recreated for the balanced and healthy growth of plants and herbs from seed to maturity. Each plant is precisely fed with the essential nutrients and minerals needed so that it naturally develops with more flavour and all its nutritional value. The controlled environment allows the dismissal of all chemicals and a more accurate prediction of production levels thus avoiding unnecessary waste. Respecting their growth cycle, as soon as they reach maturity, the plants are harvested directly from the JUNGLE BOX by the local team of JUNGLE GREENS and placed in the brand's kiosk in the fresh produce area inside the store, reducing the distance and consequent environmental footprint associated with the transportation of the product from its origin to the point of sale. This is a process that happens on the spot and in plain sight of the consumer at the AUCHAN store, in Sintra. “This is another step in Auchan Retail's strategy; our goal is to invest in innovation that guarantees a differentiated offer. We want to continue to surprise our customers with sustainable products full of flavour,” states Filipa Rebelo Pinto, Product Director of Auchan Retail Portugal. The result? Different varieties of Salads, Microgreens and Aromatic Herbs, full of flavour, placed daily in the store 100% alive in biodegradable packages that allow them to stay fresh for longer. “With Jungle Greens we reinforce our commitment to continuously improve our environmental performance by reducing carbon footprint, waste and eliminating single use plastics. We continue with our mission of promoting healthy lifestyles, especially in the food segment, leading to an informed choice of our clients,” concludes Filipe Ferreira, Director of Auchan Jumbo Sintra store. There are many options, from the most traditional to the less common ones. Different types of Lettuce and Rocket can be found in the Salads category. Green, Lemon or Thai Basil may be less known aromatic herbs for some, but traditional Coriander, Chives and Parsley are also available in the Aromatic Herbs group. In the Microgreens category, small leaves full of vitamins, minerals and antioxidants can be discovered. They include two types of Radish, two varieties of Mustard and also Shiso - an aromatic herb typical of Asian cuisine that can, for example, be used as a seasoning in fruit salads. A complete selection that not only complements traditional recipes as well as introduces new textures and flavours that seek to awaken creativity in the kitchen. 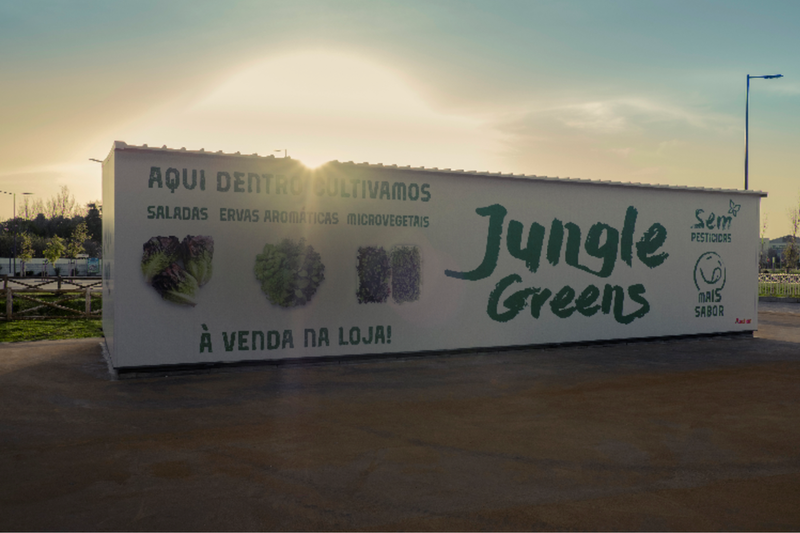 For its launch, JUNGLE BOX grows and provides 14 varieties of JUNGLE GREENS but the brand’s goal is to continue to introduce new products over time. JUNGLE GREENS Founders Gilles Dreyfus & Nicolas Seguy. Agritecture: Where did the idea for JUNGLE come from, and how did you take it from an idea to an actual company? Gilles Dreyfus (GD): In 2015, I was reading a Financial Times article about the food crisis and at the end there was a paragraph about Vertical Farming. I had a shock and knew right there and then that I wanted to dedicate my life to growing healthy plants. I started travelling the world to explore and understand what existed. My initial plan was to operate a large-scale facility in Paris. Nicolas Seguy (NS): My very first encounter with the concept of VF came to me while on a fishing trip in Russia in extremely deserted and natural surroundings. The article I was reading contrasted so much with my current location at the time that it caught my attention. I was already in a transition with my previous occupation and very interested in the Food Revolution and how the entire food chain was, or needed to change. When Gilles and I met, I was developing a turn-key facility design & supply model. GD + NS: It was in the concrete Jungle of New York City that we met while visiting a rooftop farm. Sharing the same passion and purpose, we decided to join ventures and created JUNGLE. We then spent 18 months traveling the world meeting many stakeholders involved in Urban Farming generally, then more precisely in Controlled Environment Agriculture (CEA) to draw our own State of the VF industry. Our conclusion in 2017 was that opportunities were endless but very vague and critically unclear in terms of financial viability. We decided to start from the true beginning and that was: secure an urban location, design and build a system, and grow plants to cover the entire spectrum. Only after we went through this cycle did we really understand how to shape a business model. 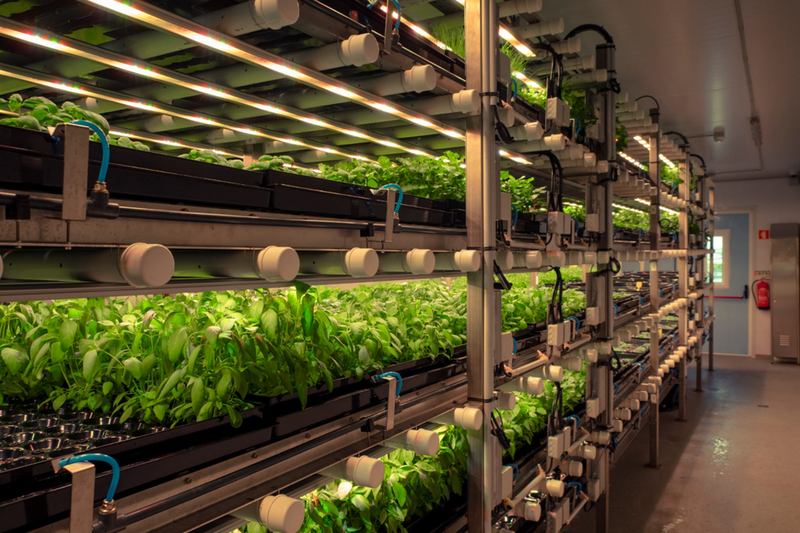 You grow over 70 species of plants currently in your facility, but JUNGLE also seems to be developing unique hardware and software solutions for the indoor growing industry. Do you see yourselves as more of a farming company, or as a research and development company? GD + NS: Our model is based on growing plants, so the farming side is at the core and without the right plant for the right customer, there is no business for anything else anyway. This being said, especially when diving into more rare species of plants, research is unavoidable. We are constantly involved in some kind of testing, research or validation program whether it’s on variety selection, horticultural best practice validation, climate, hardware etc. A new Vertical Farm seems to be popping up all over the world each month, what makes JUNGLE different than the others? 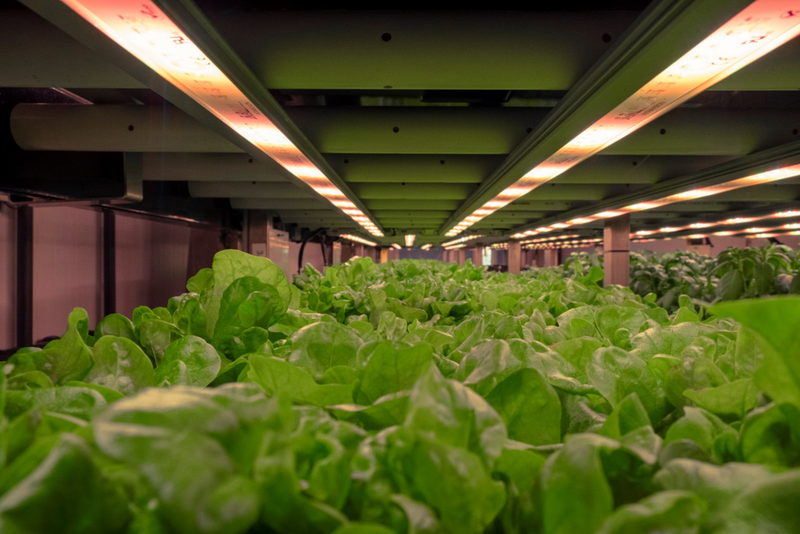 GD + NS: We’re very involved upstream on the integration of various technologies all the way down to ERP and Indoor Farming process software and automation. We don’t develop everything ourselves as we always try to establish strong partnerships on everything others can do better than us. That allows us to focus more deeply and quickly on the time to market from securing a market, a set of crops and building/operating a facility to service this market. That is really our core competence and what we focus on. We have and are currently also very involved in developing our consumer & retailer package around our brand Jungle Greens. 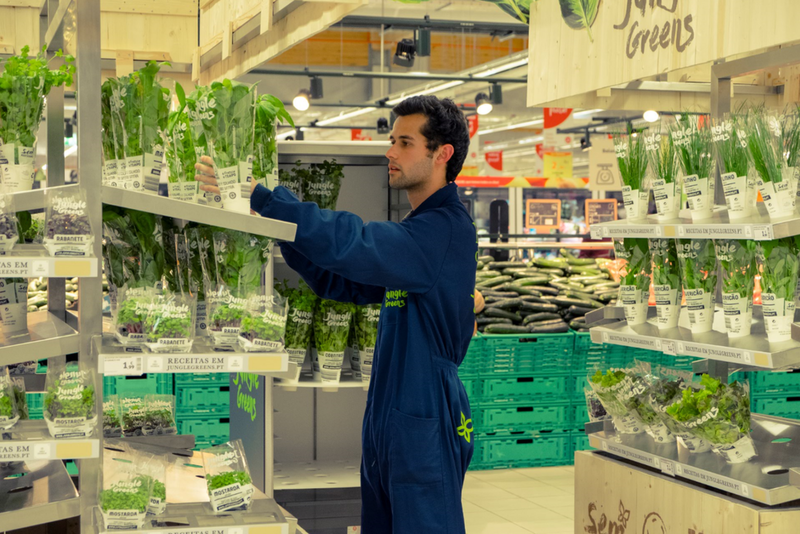 By operating a farm right at the doorstep of Auchan, a leading retailer and working daily with their Teams, we have a great insight on all the tricks and areas of optimization that are very specific to in-store growing with a large retailer. We learn everyday on how to engage with consumers, how to optimize a production schedule, on-site promotion, logistics etc. What kind of support have you received from government entities, and how do you see the role of public money in the controlled environment agriculture space? GD + NS: We have received a credit line for Innovation at the very beginning of our venture in 2016 from a national extension of the EU program in Portugal. It is helpful at the very beginning though very tedious administratively. As long as the process does not become too much of a constraint, I believe government should definitely have a role to play in facilitating and supporting ventures in Indoor Ag. We all know it’s quite critical to operate at the right scale and that the learning curve is very costly. That is the very phase during which extra help is critical. Of course, on the other end, we also are pursuing this adventure with the objective of building a truly sustainable model, not only environmentally but also financially. So being able at some stage to rely on our own sources of funding and income is essential. What is the vision for Jungle 5 years in the future? 10 years? GD + NS: Our vision is to become an impactful actor in the Pesticides-free vegetables and small fruits industry in major European urban centres. 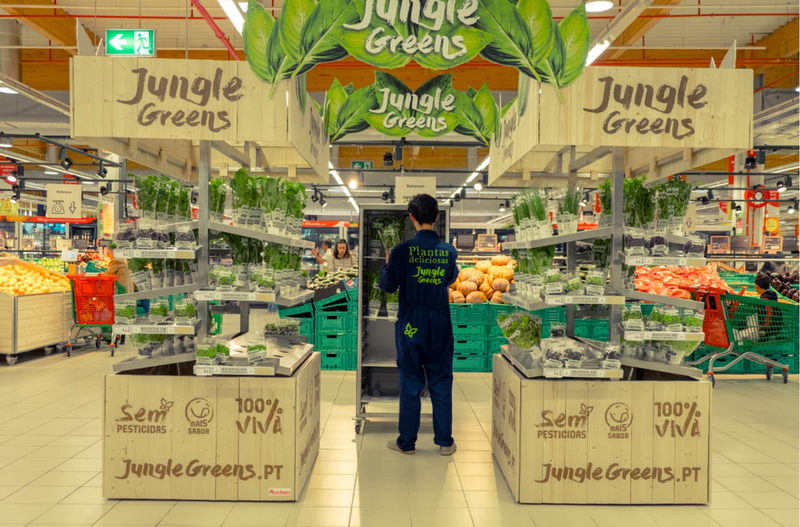 We will focus on establishing strong and long-term partnerships with key retailers, build and operate large scale facilities to supply our Jungle Greens kiosks, in-store. Meanwhile, we are also cultivating plants for other applications such as the Flavours & Fragrances industry.